My Makeup and Beauty Vanity: Independence Day indulgence with The Nature's Co. Celebrate the spirit of freedom this Independence Day, by pampering yourself with products offered by The Nature's Co. Enjoy the festivities, by taking a break from your hectic schedules and surrendering to the wondrous creations at the store. Feel the nature and the natural, luxurious products for your skin, hair and body on this occasion and relive the age old natural Indian remedies meticulously recreated in convenient and modern forms. 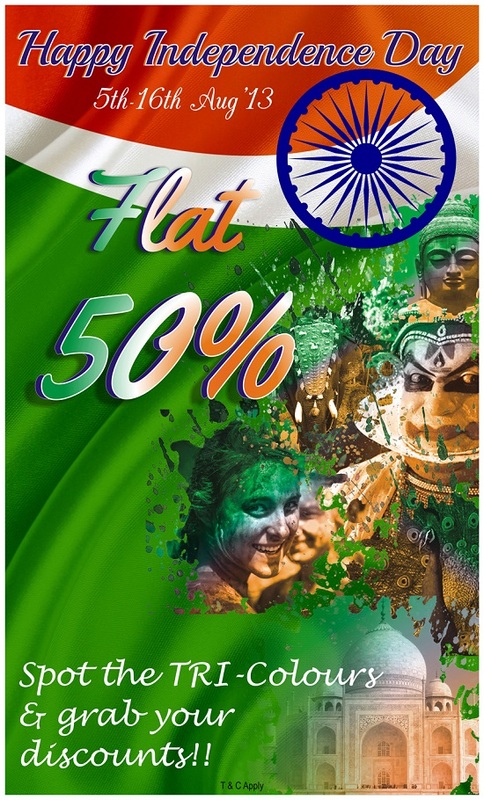 On the 66th Anniversary of the Indian Independence, The Nature' Co. takes the opportunity to fuel the freedom fervor by giving a flat 50% discount on selected products from the 5th to the 16th of August 2013 at all The Nature Co. stores. The customers can spot the Tri-colour labeled products at the stores and grab the discounts!